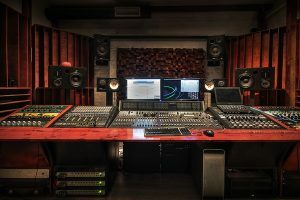 Today’s production practices have changed significantly with the changes in music consumption habits, which poses new challenges for the studios in terms of both workflow and technical terms.Gainlab Studios has been established with this in mind to respond to these changing trends to provide the most up to date professional audio services from mixing to the closure of the production process actually. All this within an excellent acoustic environment and the most versatile systems available, from the high quality studio standards to really rare assets. 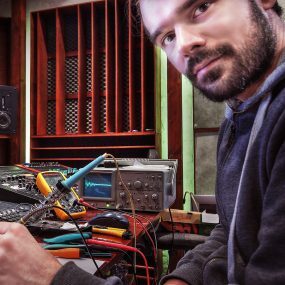 He has had an opportunity to study the profession at the Hungarian National Radio’s Sound Engineering Academy. 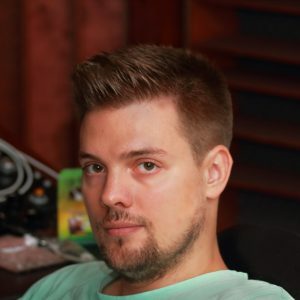 After moderate musical success in Hungary, nowadays he is working on international projects as a ghost producer and dealing with the distribution of some professional studio equipment brands. He likes the tougher synth sounds. In general, he likes harder sonority and he is making tougher music. 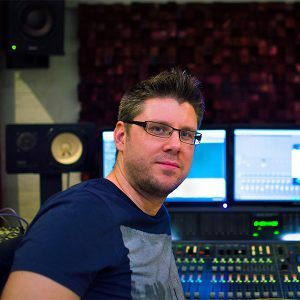 He began his career as motion picture sound engineer and sound designer at Masterfilm Digital Ltd. He has made countless film sound post-productions, and he keeps working on them nowadays. He prepared most of the studio’s equipment, or he has transformed them to meet our needs. He has a good ear for deep electronic and classical music genres. 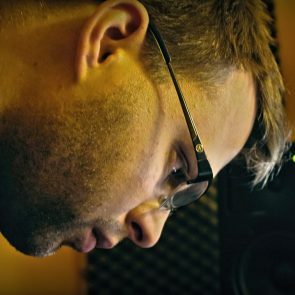 Heading from movie sound design to Gainlab, Imre is quite experienced in the field of sound recording. His endless patience makes him a great team player, musicians love to work with him. 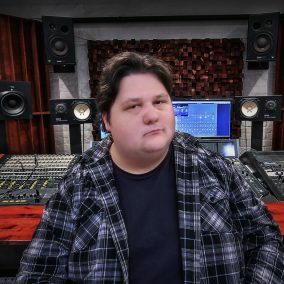 His technical knowledge of studio gear spans a wide spectrum that he makes use of when he’s improving our own, custom built equipment. Coming from Mafilm Audio, it’s virtually impossible not to come across his work in the field of dubbing. He’s been working on the Hungarian version of such of blockbusters as Terminator Genisys, Deadpool or The Hateful Eight. He’s also active in the local techno scene both as a producer and DJ. Independent radio host, podcaster and DJ. He’s become widely known via Szolfézs, a pioneer radio show in the early 2000s where he’s been featuring the works of local and foreign DJs and producers. He has worked over at estfm and radiocafé in Budapest or Last.fm in London. Currently he’s running his own show on Bassdrive where besides presenting the finest of drum and bass, he’s also showcasing foreign producers who are visiting Budapest. He’s broadcasting live from the Gainlab every Friday evening that officially marks the beginning of the weekend.